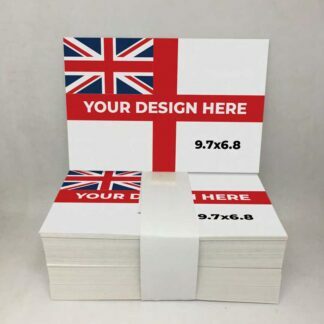 Our custom designed and personalised printed products cannot be returned for a refund unless they are faulty or if the text or logo content of the flag or banner is different from the artwork you have supplied or designed online. Minor colour variation may occur due to differences between an on-screen proof or display and the actual physical object when printed with CMYK inks to a washable fire retardant cloth. These colour differences cannot be a used as a reason for return without consultation and agreement. Faulty goods may be returned for exchange or full refund within 14 days of receipt. 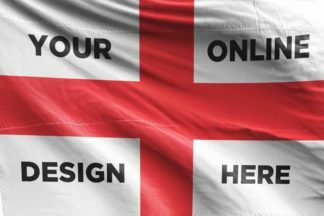 Unfortunately, we cannot accept exchanges or order refunds on flags or banners we consider used or damaged (statutory rights not affected). Please email a request for a returns form. When returning we strongly recommend that you obtain a certificate of posting from the organisation conveying the consignment as we will not accept responsibility for parcels which are lost in transit. Please note we are not responsible for the cost of return postage unless items delivered are faulty or incorrect. If this should occur please contact us. Please allow 14 working days for returns to be processed once they reach us.